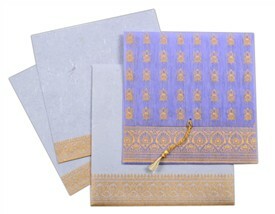 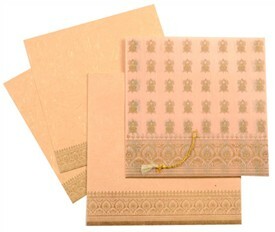 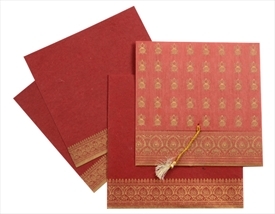 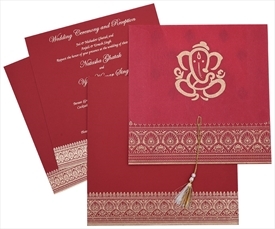 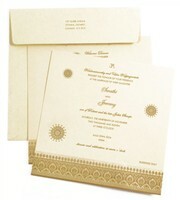 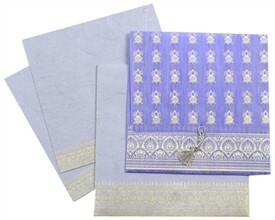 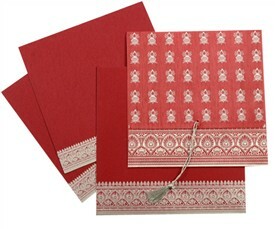 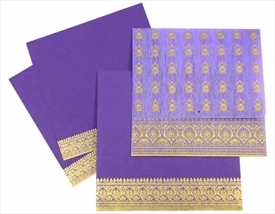 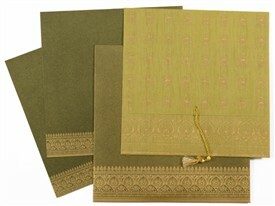 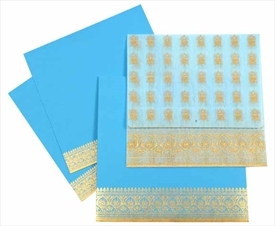 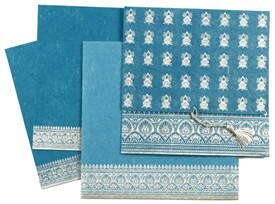 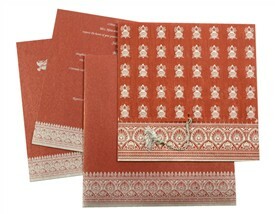 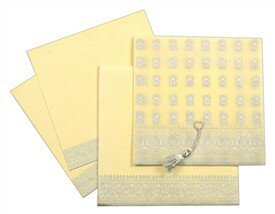 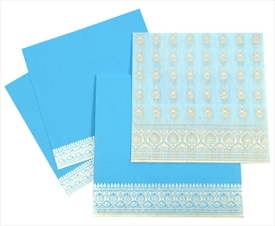 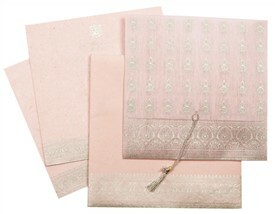 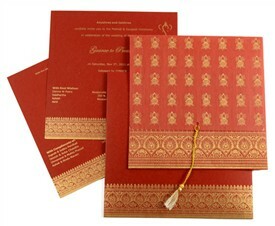 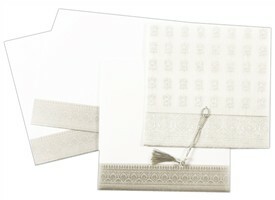 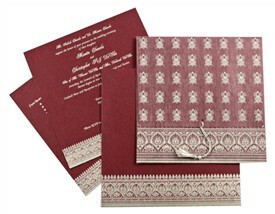 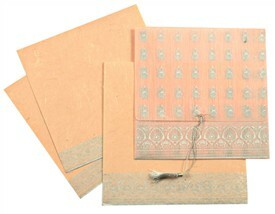 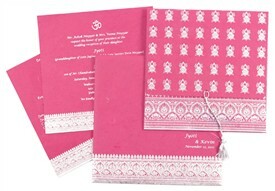 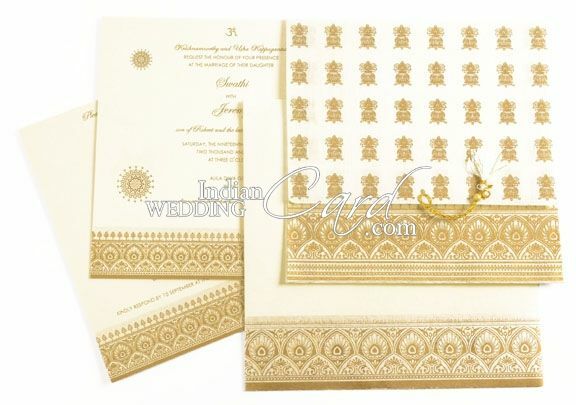 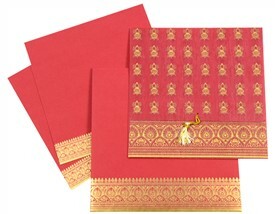 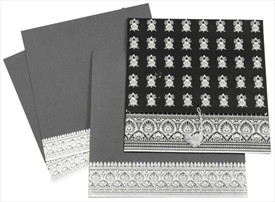 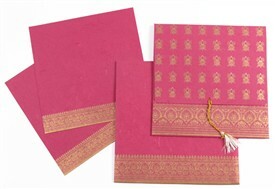 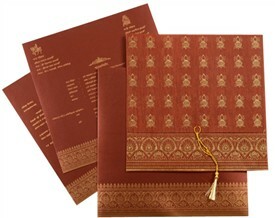 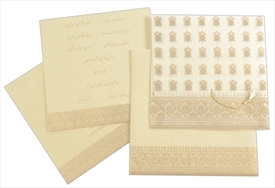 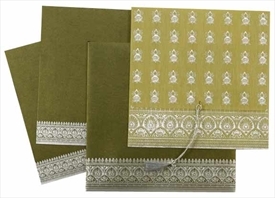 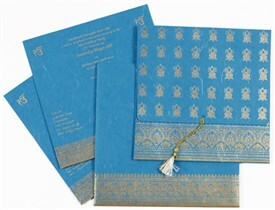 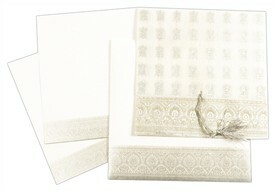 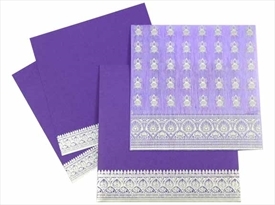 D-453, Cream Color, Hindu Cards, Designer Multifaith Invitations. 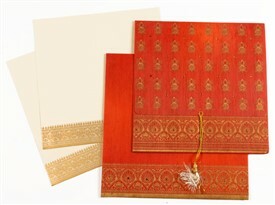 A regal tribute to the real testimony of life! 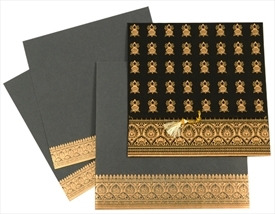 This jacket style card has a prolific base design in the form of embossed golden rows shwoing the Kalash images. 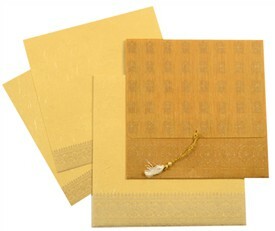 A golden zari tassel hangs at the bottom to heighten the grace. 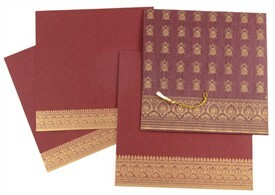 The lower fold has a very appealing temple motifs border in gold. 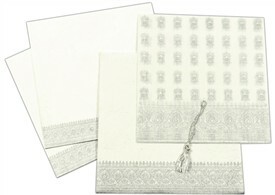 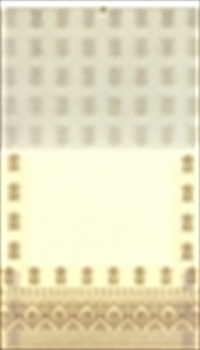 The inserts have a similar border to the front and so does the envelope.